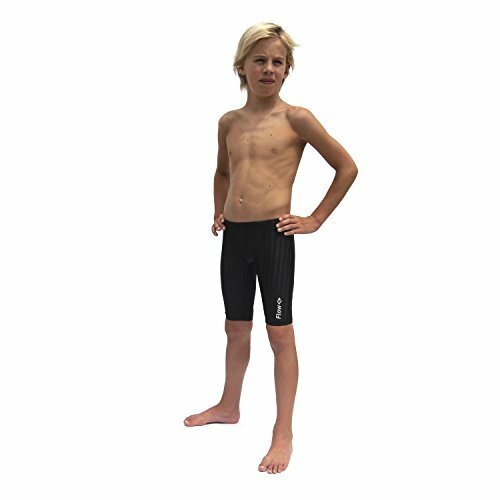 The Flow Swim Jammer for boys is a must have for young competitive swimmers that want to look good and swim fast! It is ideal for swim practice and swim meets, but is also great for any other activity around the pool or at the beach. With stylish cuts, colors, and patterns, you're sure to find the right swimwear from Flow that you will love. 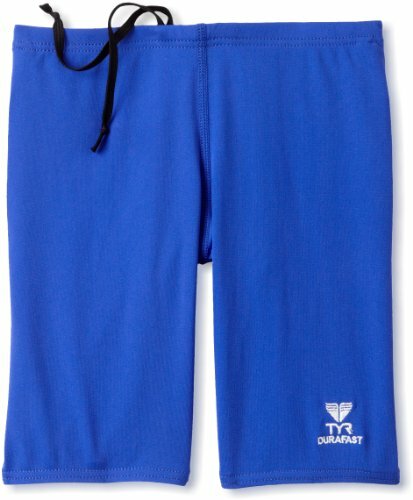 NOTE: Our swim jammers are for competition swimming and are tight fitting. They will feel especially snug when you first try them on. If the size is in question, or if you prefer a more casual fit then we recommend ordering the next size up. FABRIC: Long lasting polyester/spandex blend for durability, reduced water absorption and speed. Chlorine resistant. SPORTY DESIGN: This kids jammer is sleek, stylish and form fitting with a soft feel. V panel crotch for increased comfort and a sportier look. TECHNOLOGY: Flat locked seams and a flat drawstring lie flatter and closer to the body to help speed water flow over the swimmer. 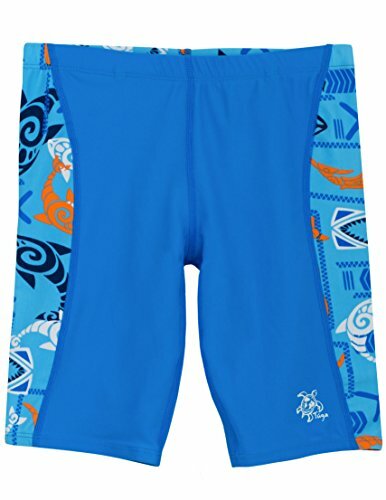 QUALITY: The Flow swim jammer is a quality swimsuit for boys that will last. 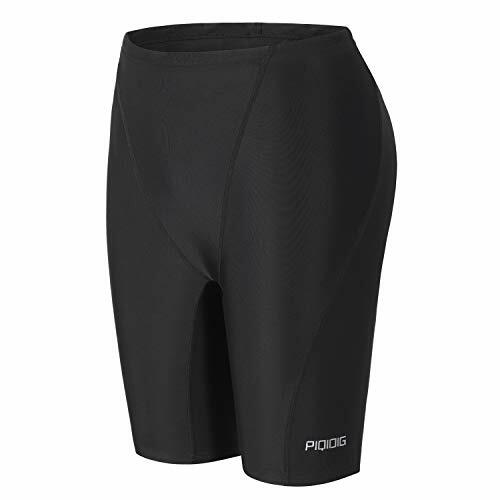 Over extended use, these swim shorts will not become baggy or sag. SIZING: See size chart image on the left for correct sizing. 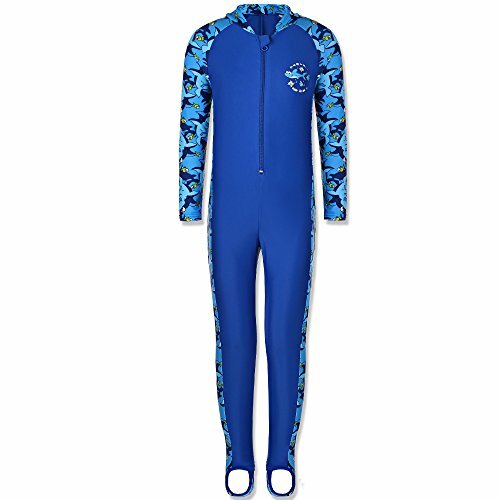 Boys jammers sizes available for little boys to young men. 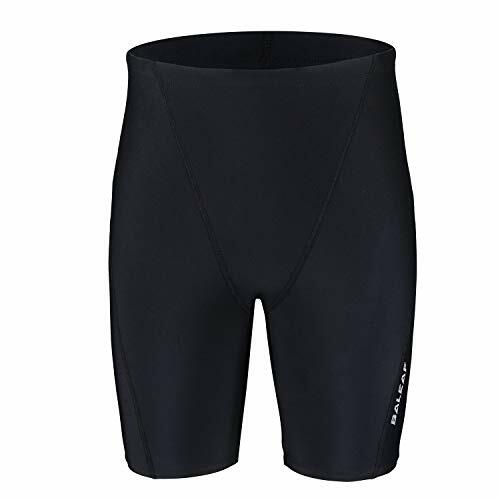 Endurance+ is a Speedo trademarked fabric type. This item is the exact same style and fabric content whether Endurance+ is included in the physical external logo or not. Tuga slim fitting jammer swim shorts with flat seams, rubber elastic waist and legs to assure maximum comfort and performance, front lined with soft helinica lining and elastic edging to assure the most support, built-in internal drawstring to assure the right fit, above-knee length, and Tuga logo at front. Match it up with our sun hats and swim tops! Although swimwear can be used in pools, please be aware that fabrics are not chlorine resistant. Use age, weight and height as a starting point for children, but please use actual product measurements for best fit. Unless otherwise stated, all our clothing is designed with a regular, comfort fit and not fitted in order to provide the highest sun protection possible. Please check our Tuga Sunwear size charts to ensure the best fit. EXCELLENT SUN PROTECTION: Swimwear fabrics are rated UPF 50+ and provide maximum UV sun protection by blocking 98% of UVA + UVB sun rays, wet or dry; similar rating as SPF for sunscreens. Our swim essentials ensure that covered areas don't need sunscreen. QUALITY + COMFORT: Flat lock stitching for extra durability and to help reduce chafing, 4-way stretch and quick drying fabrics for ultimate comfort at the beach, pool, on vacation and pretty much anywhere. Speedo equals better fit, performance, quality, and innovation! The rapid splice jammer is a great team or everyday core suit with athletic color blocking details from our race/performance line. 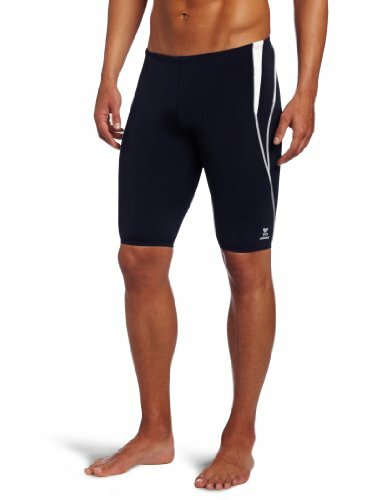 The jammer styling is great for adding compression during your swims to reduce fatigue. The suit features trademarked xtra life lycra which lasts 5 to 10 times longer than traditional lycra. So no bag and sag, and it looks like new for longer. Our 9 thread flatlock technology offers stronger seams, optimal stretch, and added comfort. The suit is ideal for swim meets, lap swimming, pool play, or any water activity. Look and feel your best in or out of the water, while you play, train or win in speedo, the choice of champions! 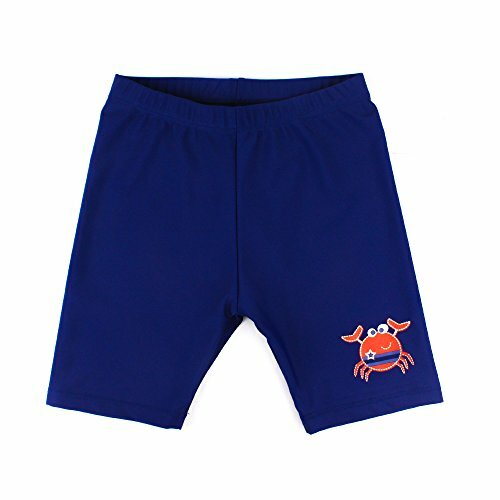 Summer time is the most memorable time to the children, they want to bench/swimming pool/lake to experience nature, they will love his toddler swimwear in the summer. Please check the below size chart before select a perfectly swimsuit for your boys/girls. 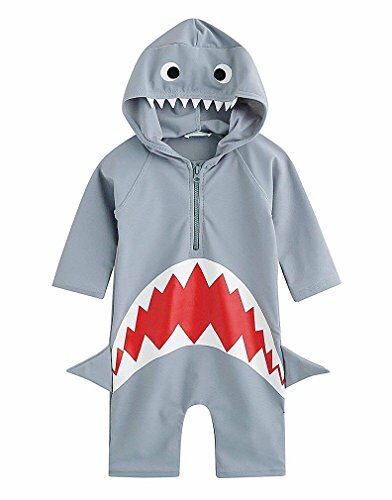 Age:10-12Months | Bust:48CM/18"| Sleeve to crocth:36CM/14"|Sleeves:15CM/5.9"|Recommended Kid's Height:73-80CM/29-32"
Age:12-24Months | Bust:50CM/19"| Sleeve to crocth:38CM/15"|Sleeves:16CM/6.3"|Recommended Kid's Height:75-85CM/30-34"
Age: 2-3Years | Bust:52CM/20"| Sleeve to crocth:40CM/16"|Sleeves:17CM/6.7"|Recommended Kid's Height:85-95CM/34-34"
Age: 3-4Years | Bust:54CM/21"| Sleeve to crocth:42CM/17"|Sleeves:18CM/7.1"|Recommended Kid's Height:95-105CM/37-41"
ADORABLE DESIGN This one-piece sunsuit has a vivid shark shape for it was 3D and hoody design, and made of 80% Nylon 20% Spandex, more smoothly and comfortable, your kind will be the focus between all the children with it. 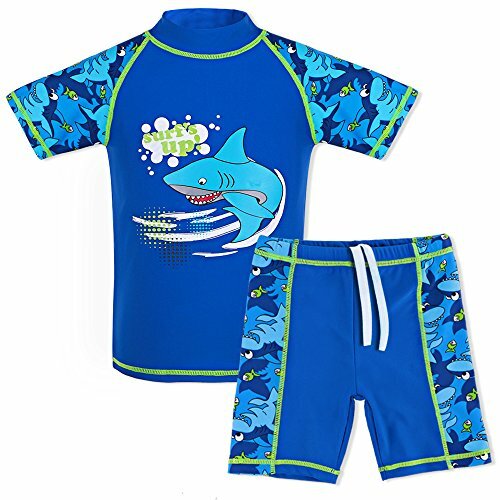 EXCELLENT UV protection Boys Girls UV protective swimsuit with the full-length long sleeve,20D Nylon fabrics anre rated UPF 50+ and provide maximum UV sun protection by blocking 98% of UVA + UVB sun rays, wet or dry; similar rating as SPF for sunscreens. 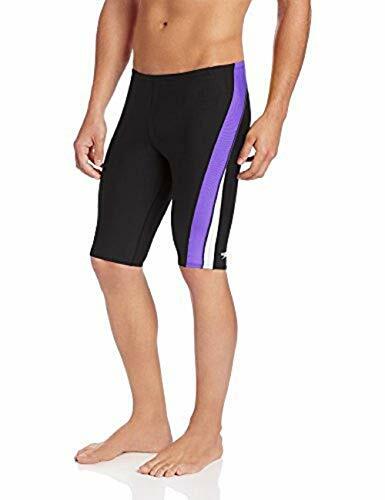 EASY ON/OFF The front zipper is durable and easy on/off than those back zipper, this swimming suits with flatlock stitching for superior quality with soft added more comfort, quick drying, and amazing 4 way stretch fabrics. 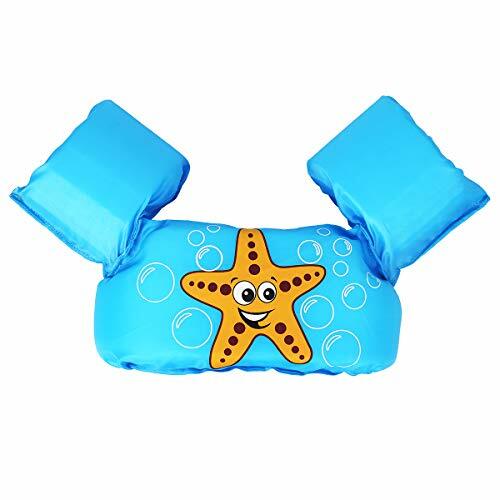 SKIN FRIENDLY The smoothly material with high chlorine and salt water resistant, wrinkle free, ergonomic design makes it more suitable for the child's body, you can find the perfect size for your kid. WARRANTY We provide 6-month full refund warranty to our customers If you are not satisfied with it. Please feel free to contact us if you have any question about this product. 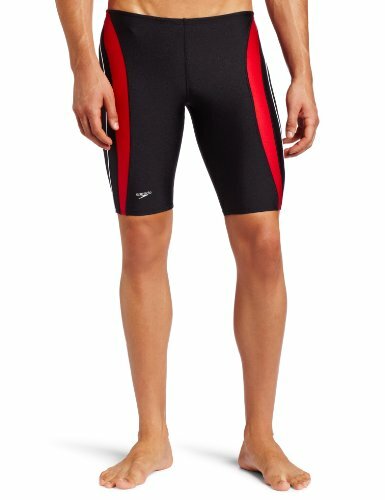 Designed for men's and boy's swim racing and training, provides additional support and coverage while enhancing muscle compression. The men's swim Jammer features a non-slip, flat braided draw cord for a comfortable, secure fit. Made to the highest quality standards, and is an ideal choice for you. Quantity discount available. (Buy with confidence) Stretch waist with interior draw cord. Designed in the USA, American sizing chart. (Premium quality) Extra life lycra fabric with improved long-lasting fit and lasts 5-10 times longer than ordinary Spandex. Super-strong flat-lock stitching. (Soft compression blend) Improved comfort with a softer feel and superior shape retention. (Front Lined) Fabric : 80% Nylon, 20% Xtra Life Lycra, Lining : 90% Polyester, 10% Spandex. (Protect color) Hand wash with cold water and wind dry, do not hang the suit in the sun to dry. 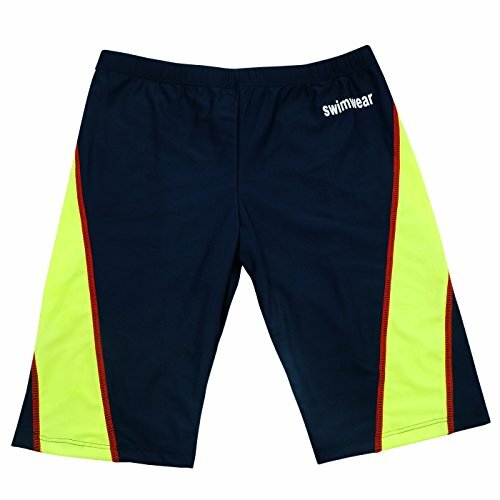 This youth boys' swim Jammer is a essential swimwear for young competitive swimmers that want to swim fast, it hits above the knee and feature a compressive fit, the athletic swim shorts come with an innovative 80% Nylon/20% Spandex dual blend, lightweight fabric , four way stretch technology for a body hugging fit and softer feel. Flatlock technology offers stronger seams, optimal stretch, and added comfort . It's perfect for swim team, all kings of water activities. Comfortable: Woven polyester - softer fabric with less chafing. Material: 85% Polyester, 15% nylon. Soft & cool designs that provide great sun protection for boys in & out of the water. This swim trunk featuring UPF 50+ Sun Protection, with elastic waist to assure maximum comfort and performance, above-knee length, front mesh lined.